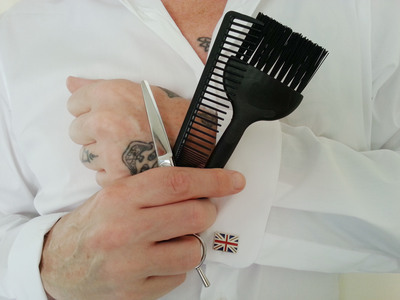 British hairstylist with over 30 years international experience in hairdressing .Extensive experience in all fields of hairstyling such as working with a busy salon clientele in both haircutting/styling, colour/perm and Balayage/contrasting. Involvement in salon management and salon promotions and marketing. Specialist in salon hairstylist education, in-salon staff and external hairstylist education, including In-salon haircutting/styling “teach-In’s” and various hairdressing courses/ seminars using my unique haircutting “Flow technique” . Experience in various session work such as M.T.V filming, concert hairstyling, C.D cover photo shooting, magazine shooting and T.V shows for various Artiste's in the Asian entertainment field . Hairstyling for various fashion and hair shows and providing wedding hairstyling services. My work has taken me to many countries around the world and given me the opportunity and ability to blend hairstyling techniques and cultures together, which has both influenced and enhanced my work. To provide a high level of very professional and personal quality Hairdressing services, based on in-depth communication skills and supported by extensive experience .and a strong technical knowledge and ability, influenced by exposure to a variety of international cultures.